/ Modified dec 6, 2017 12:31 p.m.
Xiaohui Fan, a regents' professor of astronomy at the University of Arizona, is part of a team of researchers that identified the most distant quasar in the universe. The discovery, made in March, was published in the journal Nature on Dec. 6. 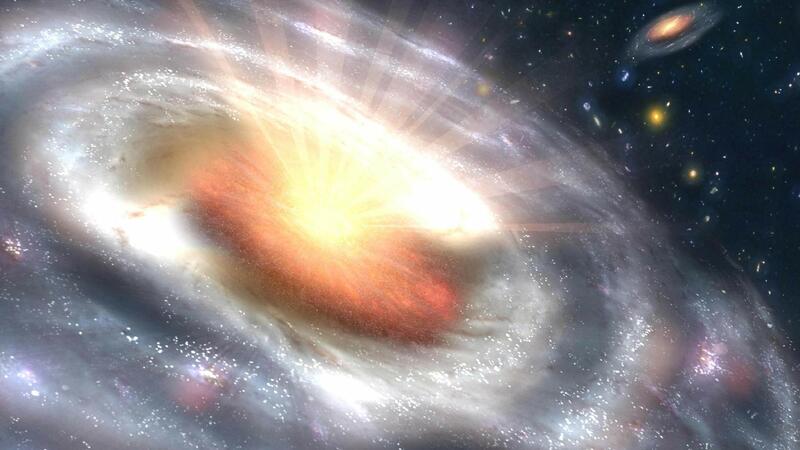 The quasar, with a massive black hole at its center, is 13 billion light years away and is believed to have formed 690 million years after the Big Bang. Fan said the black hole's mass is estimated to be 800 times that of our sun. Fan and others are combing the data to locate even more-distant objects that can provide clues about when stars began forming in the "Cosmic Dawn." "The question we are asking is when the first star formed in the universe and how long it takes from the Big Bang to when these stars begin to appear. I'm pretty sure we will know that. We're not that far off," he said. Fan said new, larger telescopes under development will aid the international science team in looking deeper into a larger part of the sky to find what's beyond. "For scientists, we want to know when things first started. We want to know when did the first star form in the universe. And, of course, then you can have planet around these stars. So when did everything get started? We are all a result of these cosmic evolutions," Fan said.